Our radiology deparment has been the leading diagnostic imaging provider for over 35 years. 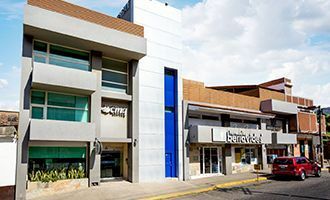 With locations in Puerto Vallarta´s City Center, Fluvial Vallarta and Bucerias in Riviera Nayarit, we are always close by. Our team of highly skilled radiology specialists, sonographers, radiographers and radiologic technologists are committed to providing the best medical radiology and diagnostic services. We are open 24 hours per day, 7 days per week. 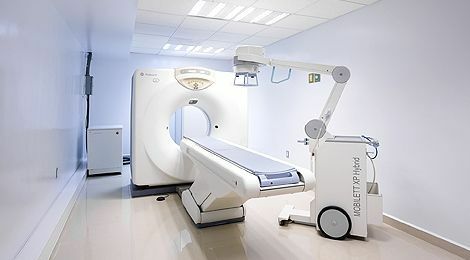 Our Ultrasound, CT Scanner and MRI Scanners (MRI machine) are the most modern and reliable equipments in Puerto Vallarta. 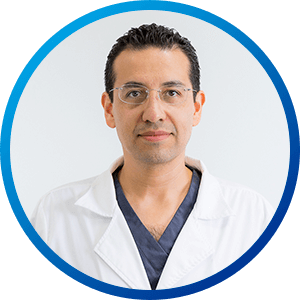 The radiology department at Hospital CMQ is preferred by renowned physicians and specialists in Puerto Vallarta. The goal of our Radiology Department at Hospital CMQ in Puerto Vallarta is to provide patient-centered care and timely access to advanced imaging technology, as well as a quick and accurate delivery of electronic medical reports to treating and referring physicians. 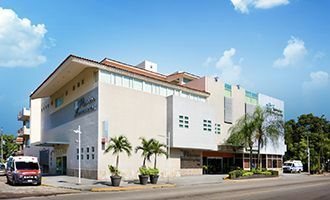 From simple X-Rays, ultrasound, CT Scan and MRI exams, to complex, Cardiovascular Studies and Coronary Angiograms, the Radiology Department at Hospital CMQ in Puerto Vallarta is your go-to imaging center in Puerto Vallarta and Riviera Nayarit. We accept most travel insurance and health insurance plans in our Radiology Department; we also offer affordable self-pay rates for uninsured patients. IMPORTANT NOTE: if you are planning to pay for your using your health insurance coverage, please remember to bring a valid identification and your insurance card and/or proof-of-insurance. Located five minutes away from the “Malecon”, the romantic zone, Olas Altas, Conchas Chinas and Amapas; in Downtown Puerto Vallarta. Located five minutes away from Fluvial Vallarta, Costco, Marco Plaza, Pitillal, Las Aralias and the main hotel zone. Located in Bucerias, Bahia de Banderas; minutes away from Nuevo Vallarta, La Cruz de Huanacaxtle, Sayulita & San Pancho. My doctor requested a biopsy; What is a biopsy and why do I need one? A biopsy is a procedure that is performed to remove cells from a specific area for further laboratory examination. Biopsy procedures can be performed in the skin´s surface, or in an internal part of the body, depending on where the suspicious area is located. Usually, a biopsy is performed to understand the cause of unexplained and/or sudden swelling, or to determine if a tumor or a suspicious tissue sample is cancerous. Some biopsies do not require sedation, while others require the use of an anesthetic to numb the area form which the sample will be taken. A biopsy is usually needed because, even though X-Rays and other imaging exams can detect abnormal masses in a certain area of the body, they are unable to confirm if the mass is composed of normal cells or cancerous cells. Thus, a biopsy helps physicians confirm the absence or the existence of cancerous cells within a tisuue sample. Fortunately, thanks to specialized imaging technology that is now available, many biopsy procedures are performed with imaging guidance that helps to secure tissue from the exact area, avoiding the need of a large incision. Ultrasound-Guided Biopsy – removal of suspicious tissue from a selected area using a thin needle that is introduced and positioned with ultrasound guidance. CT Scan-Guided Biopsy – removal of suspicious tissue from a selected area using a special needle that is introduced with CT Scan guidance. Mammography-Guided Biopsy – removal of suspicious tissue from a selected area using a special needle that is introduced with Mammography guidance. MRI Guided Biopsy – when other imaging techniques fail to identify a suspicious mass, the identification, removal and collection of the suspicious tissue must be performed with the help of MRI guidance. Which are the most common medical radiology and imaging services for women? Women have unique medical and health related needs. 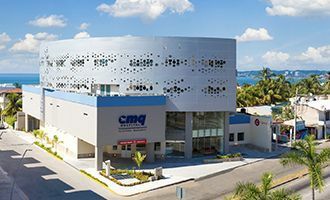 Therefore, the Radiology Department at Hospital CMQ in Puerto Vallarta provides a wide range of comprehensive health services for women of all ages, according to their stage in life. Our medical imaging services address the most common women health illnesses ranging from pregnancy complications, breast cancer, osteoporosis, uterine fibroids and beyond. Our specialized medical team is committed to providing advanced radiology and imaging services for women, in a safe and respectful environment. Our goal is to help women achieve their optimum health and wellness through all stages of their lives. Pregnancy Ultrasound – an exam that uses high-frequency sound waves to build an image of the mother´s reproductive organs and the developing fetus or baby. A pregnancy ultrasound is normally used to follow and monitor normal fetal development, and to screen and detect any potential problems during pregnancy. To achieve the best image quality and results during a pregnancy ultrasound, pregnant women should drink three glasses of water prior to the exam, and avoid urinating before it. Breast Ultrasound – an exam that uses high-frequency sound waves to build an image of a women´s breast tissue. Ultrasound – also called sonogram and/or ultrasound scanning, an ultrasound is a medical imaging exam that uses high-frequency sound waves to create images of internal organs, which can be viewed by a Radiology Specialist in a special imaging monitor. Breast MRI – a non-invasive medical imaging exam for women, that uses Magnetic Resonance Imaging to detect cancer or other abnormal areas in the breast, by outlining accurate images of the chest wall, breast and the surrounding tissue. Breast Biopsy – a breast biopsy is a procedure that is performed to remove suspicious cells from the breast, to determine if the abnormal tissue is cancerous, or to understand the cause of unexplained swelling. Mammography – an advanced imaging exam in which a specialized X-Ray equipment is used to take a breast X-Ray, which renders detailed images that can help identify in a timely manner, minor breast changes that are too deep or too small to feel. Mammography-Guided Biopsy – a procedure that is performed with the assistance of mammogram guidance, to remove suspicious cells from the breast and determine if the abnormal tissue is cancerous, or to understand the cause of unexplained swelling. Endometrial Biopsy – a study in which a Radiology Specialist take a small sample from the lining of the uterus. Subsequently, the sample is examined in a Pathology Department to detect abnormal cells and or determine if such cells are cancerous. Osteoporosis Screening – a radiologic examination that is used to detect and measure the loss of bone mass and/or the thinning of bone structures, which can be risk factors for future injuries and fractures. Questions regarding contrast material and allergic reactions during a radiology study? What are contrast materials and why are they used in radiology? Contrast materials to improve the quality and resolution of the body images produced by CT Scanners, MRI Scanners, Ultrasound and X-Ray studies. Contrast materials, also known as contrast media, help radiologist to distinguish abnormal conditions in body organs that could go undetected if contrast material was not used. Even though they are often referred to as dyes, contrast materials are not dyes, but substances that make body tissues and organs look brighter and more defined during a radiology examination. Therefore, these substances help to “contrast” specific body parts from its surrounding areas, improving the visibility of important body organs. Contrast materials are administered by trained medical staff in one of the following ways: they can be taken orally, they can be administered via an enema or they can be injected intravenously. After a brief period that can range from half an hour to more than an hour, contrast material is eliminated, being either absorbed or discarded through urine. What are the types contrast materials? Contrast materials used in CT Scan and X-Ray studies: barium-sulfate and iodine substances are used in several of these studies. Contrast materials used in MRI Scans: the substance that’s most commonly used in MRI studies is Gadolinium. Can contrast materials cause an allergic reaction? Even though the safety and efficacy of contrast materials has been greatly improved, they can cause allergic or adverse reactions in some occasions. Thus, radiology departments should be well-equipped and have trained staff that can detect an allergic reaction and manage it.